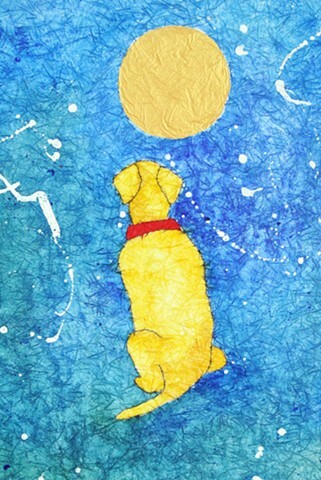 740 "Loyal Yellow Lab, ORIGINAL watercolor batik; white double matte matte: 16x20; painting: 11x14 inches. PURCHASE through PAYPAL: click on price above; shipping is already included. Artist retains all copyrights. Copyright does not transfer with the sale of the art work.